This entry was posted on January 14, 2010 at 8:19 pm	and is filed under 1771, development, internet, javier ramirez, ruby on rails. 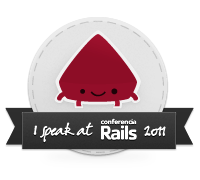 Tagged: ajax, cache, IE, javier ramirez, rails, ruby on rails. You can follow any responses to this entry through the RSS 2.0 feed. You can leave a response, or trackback from your own site. Ran into the same problem a couple of months ago! Lost my afternoon debugging it! Wow.. I was looking for almost 5 hours the solution to this problem..
IE is notorious for caching stuff like ajax requests. General rule of thumb – on important requests that shouldnt be cached, make sure the pragma header is set to no-cache…. the points that are listed are grea .alternative investment For any business goal setting and developing a plan are very essential and are the basis for the success.i will be applying these tips in my business .SEO Consultants thank you. This makes for really interesting reading. Excellent tutorial mate! About IE cache for Ajax requests whatever you wrote is totally contextual. Thanks for the great experiment show. Keep it up though! About IE cache for Ajax requests whatever mentioned here seems to me impressive. Lovely post. Miss you more than words can tell. Keep it up though. thanks! Brilliant input of IE cache for Ajax requests! I just noted the helpful thoughts you written impressively. Keep it up! Nicely explained, helped me a lot, thank you.